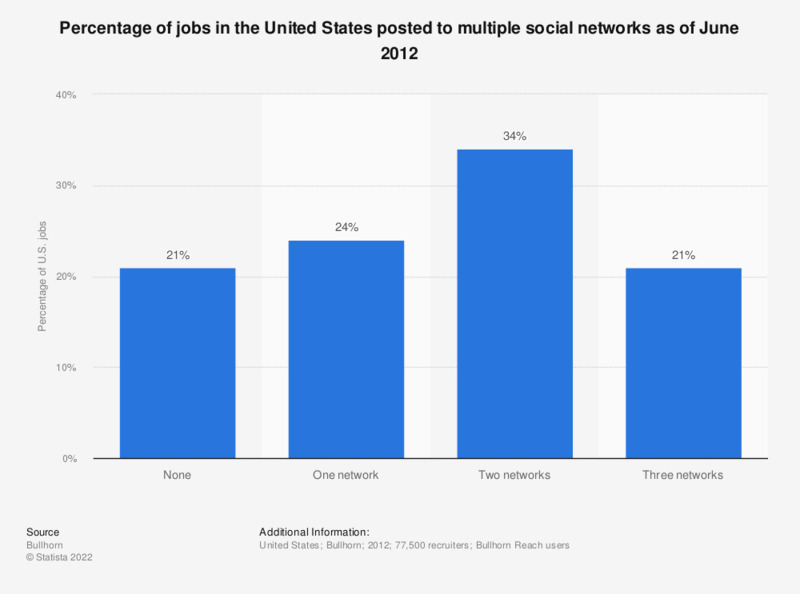 This statistic gives information on the percentage of jobs posted to multiple social networks as of June 2012. The data refers to jobs posted on LinkedIn, Facebook and Twitter. During the survey period, it was found that 34 percent of jobs in the United States were posted to two social networks.